Though clients often ask when is the right time to euthanize an ailing pet, no easy answer exists. The decision whether to euthanize is ultimately one only a pet parent can make. Pets bring such joy to their pet parents’ lives that choosing to euthanize a beloved pet can be one of life’s most difficult choices. There are some important considerations when faced with this difficult choice. Even when a pet may be suffering, the decision to euthanize is grueling and much uncertainty exists. Every circumstance is different so there is no right choice. There is no other decision we make in life similar to euthanasia. It is an easy decision to put off making. There is a significant difference between knowing intellectually the decision to euthanize is the best one versus actually choosing euthanasia. Pet parents often hope their beloved pet will die peacefully in their sleep. 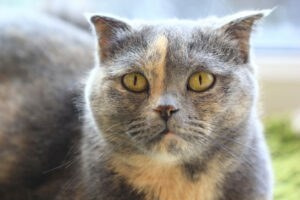 Though this is not entirely uncommon, it rarely occurs thus prolonging a pet’s suffering. Consider your pets quality of life. Identify important components of their life. Are they no longer able to participate in activities they once enjoyed? If your pet’s quality of life is significantly impacted, euthanasia may be in their best interest. Pay attention to changes in their behavior. Is their demeanor different? Subtle shifts in behavior and demeanor may signify a decline in their quality of life. One such shift may be a dog who no longer shows an interest in playing with other dogs at the dog park. Or perhaps your dog has always loved car rides but now appears anxious or physically uncomfortable when taking one. Does your pet no longer enjoy being petted or have they altered their sleeping habits? It is important to pay close attention to these and other subtle shifts in normal behavior. Discuss your concerns with your veterinarian. Though the decision whether to euthanize is ultimately a pet owners, obtaining the perspective of a trusted veterinarian who cares about you and your pet, can be of benefit. Another’s perspective provides you with more information as you make your decision. Many people worry about the impact of euthanasia of a family pet on children. Most veterinarians believe it is appropriate for children to be present when a beloved family pet is euthanized. The important thing is to be honest with children. When choosing whether to include children, consider whether they shared a strong bond with the family pet. They will learn the benefit of healthy grieving by watching their parents. This will allow everyone the space to feel sad and express their grief over the loss. However, euthanasia is a personal decision. There is no one right way to do it. Whether you choose to be present during your pet’s euthanasia is a personal choice. While some choose to be with their pet to the end, others simply cannot bear the thought of watching their pet die. Both are okay. The grieving process for mourning a pet is similar to that of losing a human loved one. Denial, anger, bargaining, depression, and acceptance are part of the process of dealing with the loss of a loved one. It is important to remember these stages are tools to help us identify normal emotions. There is no right way to grieve. These five stages are not linear. There is no timeline for the grieving process. It is important to remember there is no typical response to loss because every loss is different. Everyone grieves in their own way and on their own timeline. If you wish to memorialize your pet, to acknowledge the significance of their life, there are many ways to do so. Perhaps you want to have a funeral for family and friends. If you have children, a family gathering where everyone has the opportunity to share a favorite story or photo, provides a healthy way for children to express their emotions. There are many beautiful ways to memorialize a beloved pet. Whether it’s through photos, paintings, jewelry, garden stones, planting a memorial tree, or donating to a charity or animal welfare organization in your pet’s name, remember each loss is unique. The way in which you memorialize your pet is entirely up to you. Choosing to memorialize a beloved pet will provide comfort when dealing with your loss. 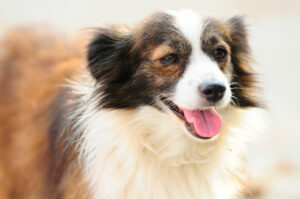 The website pet-loss.net provides a comprehensive list of thoughtful ways to memorialize pets. Finally clients often ask for advice on when to consider getting a new pet. There is no right time. While one person may want to get a new pet as soon as possible, another may need more time. The important thing is to honor your pain by allowing yourself time to grieve. Losing a pet is painful. Choosing euthanasia when the time is right is your final gift to your beloved pet for their unconditional love and the joy they brought to you and your family. Lovely, caring and thoughtful article. It brought tears to my eyes and a lump in my throat recalling how we had to go through this process with our beloved Cocoa at My Pets. The right decision is usually not the easy one. Thank you.